Editor's note: An earlier version of this story inaccurately described Nissan's performance in Europe in the fiscal second quarter of 2016. The unit was profitable. 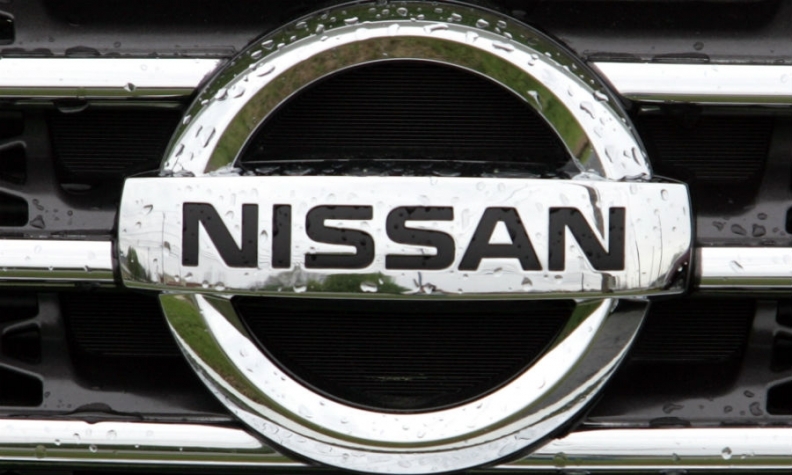 YOKOHAMA, Japan -- Nissan's operating profit slid 22 percent in the latest quarter as outlays for a Takata airbag class action settlement and recalls in Japan hit earnings. Higher incentives and slipping sales in the key North American market also dented results. Operating profit fell to 128.5 billion yen ($1.14 billion) in fiscal second quarter ended Sept. 30, Japan’s second-biggest carmaker said Wednesday. Net income declined 3.1 percent to 141.6 billion yen ($1.26 billion) in the July-September period. Worldwide revenue advanced 8.5 percent to 2.89 trillion yen ($25.7 billion) in the quarter, as global retail sales increased 4.2 percent to 1.38 million vehicles. In announcing the results, CEO Hiroto Saikawa said special charges knocked Nissan off course in the quarter. His company paid out 40.8 billion yen ($362.6 million) to cover two items. The first outlay was to settle a U.S. class action lawsuit against automakers over their use of potentially defective airbag inflators made by Japanese supplier Takata. The other was to cover the recall of more than 1.2 million vehicles in Japan to be re-inspected. Nissan issued the callback after it discovered in September that uncertified workers had been conducting final inspections at plants in Japan, in violation of guidelines. Rising marketing and selling expenses cut another 45.2 billion yen ($401.7 million) off operating profit in three-month period. Nissan is fighting softening demand in the U.S. market, where spiff spending is on the rise and sales in the period were disrupted by hurricanes. Citing the Japan recall costs, Nissan cut its operating profit outlook for the full fiscal year ending March 31, 2018. It now expects operating profit to fall 13 percent to 645.0 billion yen ($5.73 billion) this fiscal year. It had earlier forecast operating profit to retreat just 7.7 percent. In North America, Nissan’s biggest market and a traditional profit engine, retail sales declined 2.2 percent to 377,000 vehicles in the fiscal second quarter. North American regional operating profit tumbled by half to 32.0 billion yen ($284.4 million). In Europe, retail sales expanded 6.3 percent to 190,000 vehicles, while the regional business showed an operating loss of 2.5 billion yen ($22.2 million), compared with operating income of 0.9 billion yen ($8 million) a year earlier. While outlining the financials, Saikawa also offered new details on his first mid-term business plan since taking office in April. Nissan offered a preview in May and had planned to give a full vision this fall, but it dialed back the announcement after the Japanese inspection problem. Saikawa’s six-year roadmap, dubbed M.O.V.E. to 2022, largely abandons the aggressive, detailed numerical targets set in the previous business plan by his predecessor, Carlos Ghosn. It pursues more sustainable growth and solid profitability, Saikawa said. But the new plan still benchmarks earlier profit and market share aims outlined in 2011 by Ghosn, including 8 percent operating profit margin and 8 percent global market share. The next will be lifting global revenue to 16.5 trillion yen ($146.6 billion) over the period, from the 12.8 trillion yen ($113.75 billion) Nissan booked in the fiscal year ended March 31. Nissan will also continue to chase its 8 percent global market share goal in the next mid-year plan. That should be possible, Nissan says, if the company can boost its market share in China to 8 percent, from around 5 percent penetration today. Saikawa described the market share direction more as more of an outcome of careful management than a hard target. The previous business plan, dubbed Power 88, wrapped up March 31, with Ghosn achieving neither the 8 percent profit margin nor the 8 percent market share goal. Saikawa’s team still has a lot of leftover homework. At the end of the fiscal second quarter, Nissan’s operating profit margin still trailed the goal, at 5.6 percent, while its global market share also lagged, coming in at 6.0 percent.